US President Donald Trump delivered his second State of the Union address to a joint session of Congress at 9 pm EST on Tuesday. 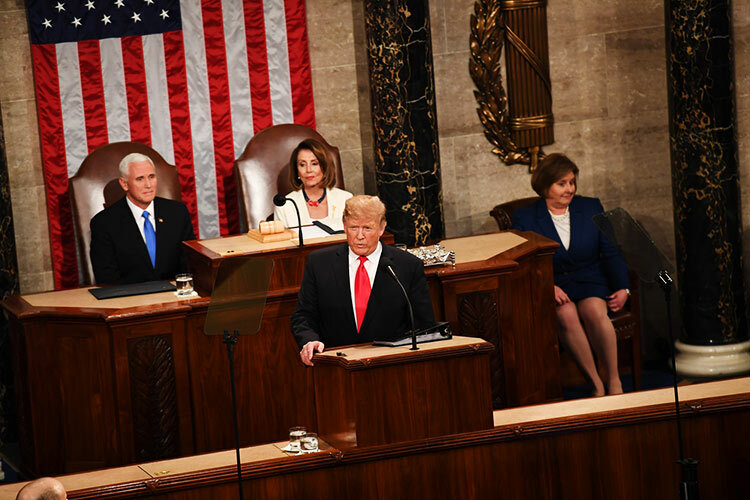 According to US political tradition, the State of the Union address is the summary of the US president’s political achievements as well as declaration of domestic and foreign policies. Mostly, it’s a time for the president to boast about his contributions. Mr Trump continued the tradition and his sharp, overconfident personal style. It is an important moment to see how the White House operates and the state of the US. This year, the speech, which was originally scheduled for January 29, was postponed a week due to the partial US government shutdown. “Choosing greatness” and “unity” were selected as the themes of the address. Mr Trump obviously expected to reach a compromise and cooperation between Republicans and Democrats through the speech, so as to realize his blueprint to make America great again. In the speech, Mr Trump focused on the economy. The country created 600,000 new manufacturing jobs over the past two years. “The US economy is growing almost twice as fast today as when I took office…unemployment has reached its lowest level in over half a century,” noted Mr Trump. 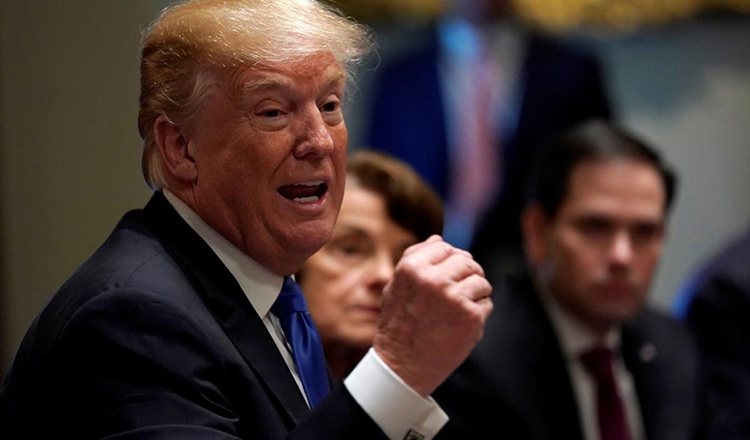 Some media elites claimed that the short-term success was achieved through borrowing money, reminding Mr Trump that the US now faces a $1 trillion deficit, which will have to be paid back by future generations. According to a poll released by the Pew Research Center before the State of the Union address, although Americans consider the economy as the issue which concerns them the most, only 40 percent believe that the economic situation has improved since Mr Trump took office. The reality Mr Trump is facing is that the prospect for “unity” does not look promising. The US is still deeply divided, and it’s becoming more difficult to bridge the differences the two parties faced over the past two years. Compromise, the most important element of the bipartisan system, is rarely seen. With the approaching next general election, Washington will see fiercer political wrestling.